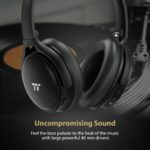 When it comes to listening experience, everyone wants to have a headphone that can provide a sound which enables them to hear music and audio clearly. 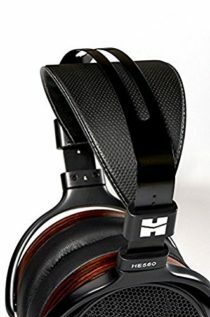 There are several headphones that can be purchased from the market today and one of which is the HiFiMAN HE560. The HiFiMAN HE560 is the headphone that can bring your listening experience to a whole new level which will not disappoint you. 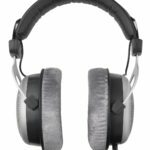 HiFiMAN planar magnetic headphones are the newest headphones that you can find on the market today. This has been taking the listening experience to a completely new level which will make you a satisfied user. The HiFiMAN HE560 is a headphone that delivers high quality of sound levels which is integrated with planar magnetics to enhance the audiophiles. 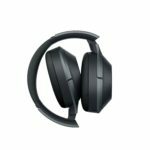 The headphone is reasonably priced which allows consumers to purchase their own without putting any burden on their wallets or pockets. 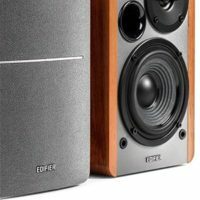 For only $899, you can now have a new set of HiFiMAN 560 that will never dissatisfy you. The HiFiMAN 560 and HiFiMAN HE400i are being the game changer of the company when it comes to substantial design for over-ear headphones. With this headphone, your listening experience will become fresher and may want to listen to music or audio all day. The HiFiMAN HE560 design is well-enhanced which makes it ideal for headphone lovers. Unlike from the previous model, the headphone was improved for the better in order to meet the expectations of the users. This headphone is light because it only weighs 13.3 ounces and made use of aluminum to lessen its weight in order to make it comfortable when worn. With its lightweight feature, users can enjoy listening sessions for a long period of time. Also, planar magnetics are comfortable to wear. The company changed the wood used in order to enhance its durability. 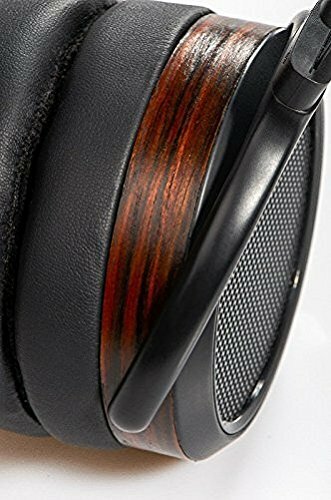 The design of HiFiMAN 560 may not be as polished as others, but the design is unique which everyone will love. 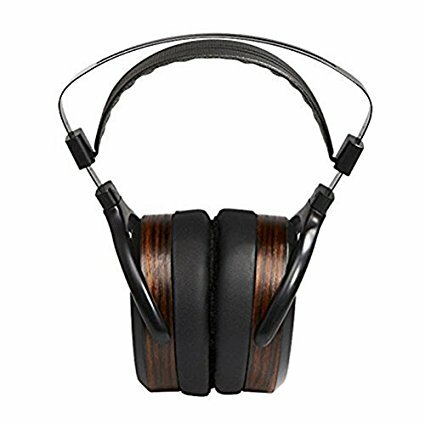 The HiFiMAN HE560 looks good because of its wood grain darkened finished that is accented with flat black. With its design, it looks elegant when being used. HiFiMAN 560 is open-back which means that it does not isolate the noise coming from the outside. When the headphone is used, you can still hear the sounds surrounding you. As for the cable of the HiFiMAN HE-560, it is made high-end and is combined with crystalline silver and copper which make it even look elegant. In addition, the earpads of the HiFiMAN 560 is softer that makes it convenient to wear and much better than the previous ear pads used. The headband is also upgraded that gives a comfortable feeling when worn because it does not put too much pressure. 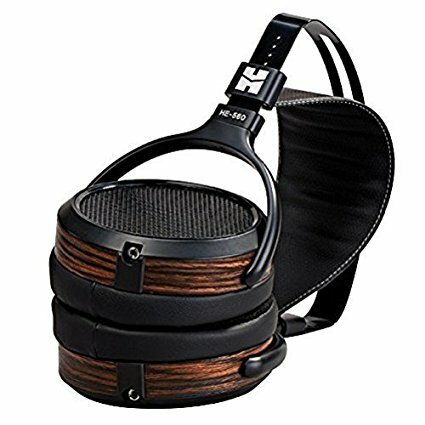 Moreover, when packaging is the concern, the HiFiMAN HE560 never disappoints because the headphone is stored in a big wooden case which can be slide-off to open and the cover is enclosed with metal. The sound experience of HiFiMAN HE560 never fails. 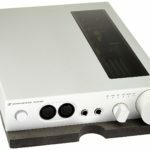 Because of its planar magnetics, distortions are never present, speed is excellent, and the bass control is definitely better. When the headphone is used, the bass sounds eccentric which makes it a good choice for listening music at home. It gives a powerful and balanced hard-hitting and control that can make the sound superior. With its great sound, you can listen to the audios or music well. The clarity of the HiFiMAN HE560 is great which makes it a capable one because you can hear the bass clearly. The sound is delivered in a smooth manner that makes it better than the previous model. On the other, HiFiMAN 560 may not be a good choice for those people who tend to go outside often. Because the headphone is not soundproof which means that the crying of babies, the noise of the busy streets, and other noises created by the surroundings can still be heard even when the headphone is worn. Because of this, the HiFiMAN 560 is much better when used for home purposes only. There are several HiFiMan HE560 review that can be found today and those can be a basis whenever you would want to purchase a headphone. But all in all, the HiFiMAN HE560 is a good choice for headphones. This is one of the HiFiMAN planar magnetic headphones that you can purchase because it gives a better sound quality and the bass can be heard properly. However, this may not be ideal for the outside use because it does not isolate the sound coming from the outside. The headphone may have its shortcomings but when design and sound are the concern, it can be a good selection. It has planar magnetics and is light in weight to make the listening experience convenient and comfortable. 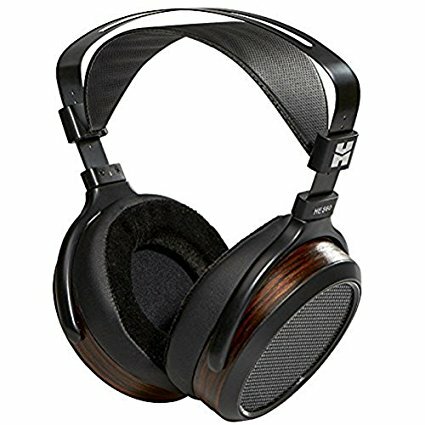 The HiFiMAN 560 can be an alternative if you are looking for a reasonable headphone in the market.